All of which would have provided the basis for pride –that is, until June 3rd, when UVA’s Board summarily announced Sullivan’s resignation. In truth, she’d been forced out under highly questionable circumstances, sending the campus into a roiling controversy ever since. The upshot? Powerful donors have called for an end to gift giving unless those who ousted Sullivan are sent packing. The university Senate held an emergency meeting on June 18, for the purpose of taking a no- confidence vote against the leaders of the University Board (in Virginia parlance, the Rector and Vice-Rector). Thirty-three department chairs wrote a letter to the Rector, protesting Sullivan’s summary dismissal and asking for her return. Even the sitting Provost of the university publicly distanced himself from the Board’s actions, expressed his ethical distaste for the process they invoked. Much if not most of the public commentary and debate has involved demands for Sullivan’s return and indignation at the treatment she and the institution have endured. So why should non-Virginians care? The answer lies in the clash of visions that led to Sullivan’s ouster. Though the details are still somewhat murky –the Board has refused to give any account of the issues that led to their actions—some clarity is beginning to emerge, partly thanks to the Washington Post’s detailed coverage of this case, partly from leaks and statements of UVA faculty (see the insightful article by UVA scholar Siva Vaidhyanathan, in Slate magazine), and partly from the strategic vision memo that Sullivan wrote roughly six months ago. What all of this material suggests is that UVA has been the site of an intense organizational struggle for the soul of the modern public university. Those who forced Sullivan out –a billionaire hedge fund manager and a wealthy real estate developer— seem to hold a vision of the university that relegates the liberal arts to the periphery of the campus, while placing market-friendly organizational logics at the core of UVA’s operations. For her part, Sullivan sought to strengthen the historic foundations of the university, adapting its long-standing commitments in ways that comport with 21st century realities. 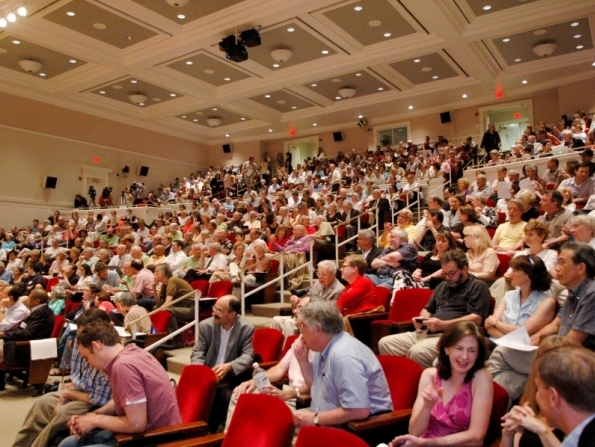 Here, in other words, was a clash between two opposing entities: On the one hand, a small group of aggressive and ambitious businesspeople, appointed by yet another right-wing governor, seeking to remake UVA in their own image; and on the other hand, a staunch advocate of the liberal arts tradition that has served UVA so well for generations. Questions abound. Is this higher education’s Wisconsin moment? Can the Board of Visitors prevail, in spite of growing opposition from students, faculty, donors, and alumni? If so sudden and arbitrary a change in an institution’s core mission can happen at the University of Virginia, what does that portend for less well endowed and less privileged institutions? What will happen to our own workplaces, in other words, if so venerable an institution can be lurched in a direction that is alien to its mission? Sociologists of work organizations who wish to express their views of this case might want to send messages directly to Dr. John Simon, the Provost at UVA (jwt5z@virginia.edu). And of course, please feel free to post a comment on this case directly to the OOW blog, especially as these events unfold. Thanks, Steve, for raising these questions and attention to this disheartening move. The lack of transparency and due process is stunning (for a public university). I’d read the Wash Post articles but I probably wouldn’t have gone looking and found Vaidhyanathan’s article in Slate. I have Thornton, Ocasio, and Lounsbury’s new book that addresses competing institutional logics right here on my desk, but it seems a great teaching case is unfolding right now. Thanks to Erin for posting the link to Terri Sullivan’s address. It’s very moving (she strikes a noble chord), and seems to indicate a real ambivalence about leaving (as if she’d be open to staying if the pressure could make that happen). Noble is right. Terry Sullivan is an extraordinary scholar, teacher, administrator, and mentor. I have learned so much from her throughout my career. She continues to lead by example. Terrible for Sullivan and ominous for higher ed. Distressing and depressing, for Sullivan, U VA, and other institutions.